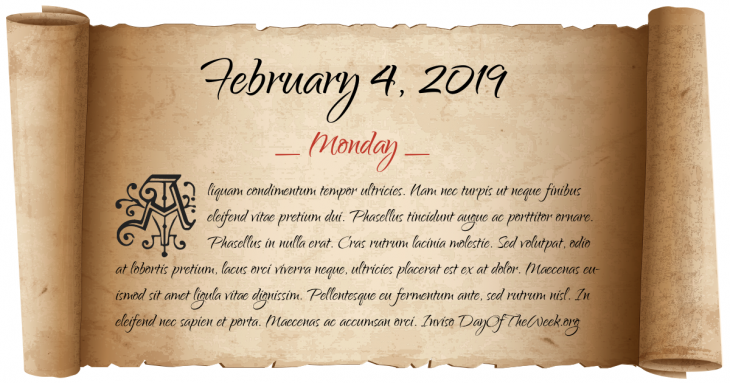 What Day Of The Week Was February 4? Radium becomes the first radioactive element to be made synthetically. World War II: The Yalta Conference between the “Big Three” (Churchill, Roosevelt, and Stalin) opens at the Livadia Palace in the Crimea. The London Low Emission Zone (LEZ) scheme begins to operate in the UK. New Year’s Day in Chinese calendar. Start of the year of the Earth Horse in Chinese astrology. Who were born on February 4?